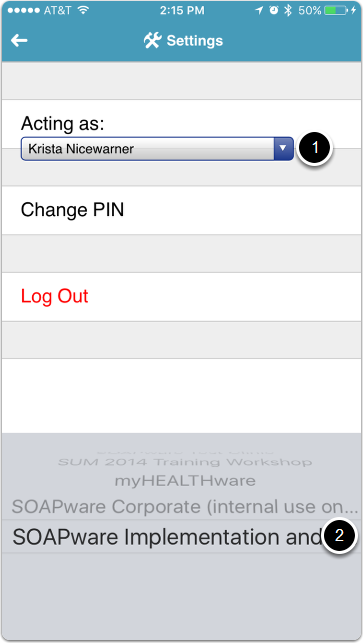 If you are a member of a clinic who uses myHEALTHware to securely communicate with your patients, you may want to change the settings so you can view the clinic's Conversation inbox using the myHEALTHware app. 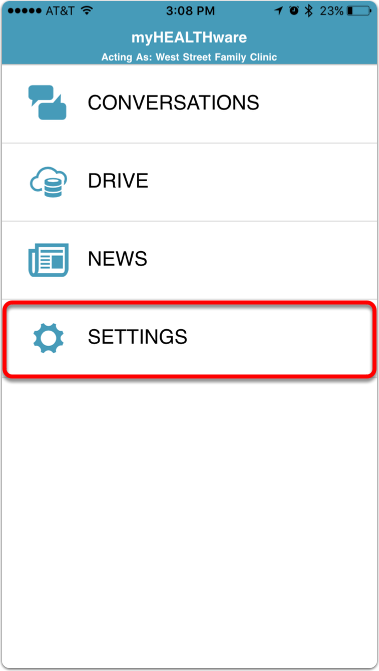 Tap on Settings from the main menu. Under the "Active as:" section, use the drop-down menu to choose the appropriate clinic. The Settings screen also allows you to change your security PIN and Log Out.